Dog apartment living comes with its own unique set of challenges. From finding an apartment that is not only dog-friendly (particularly to your dog’s breed) to that apartment not excessively charging you extra just to have a pet in your apartment. 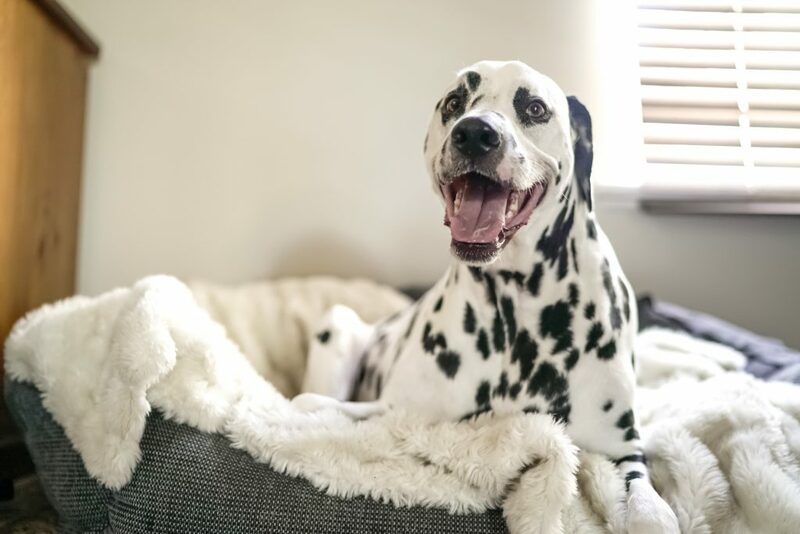 Whether you are raising a dog in an apartment, are living with an older dog or perhaps with one or more dogs, each situation will require some useful tips (such as what we’re about to get into) to help you and your dog have a happy coexistence together for many years to come. 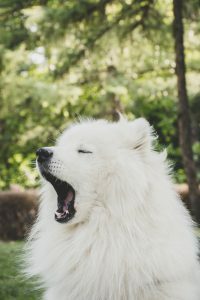 Know Your Schedule… and, Your Dog’s! 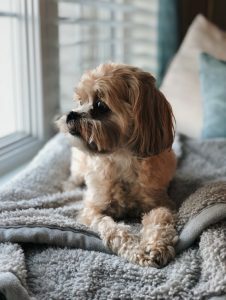 A dog will not thrive in an apartment day in and day out without your company, so if you know you sometimes have a hectic schedule or even regularly are out for long hours you need to get some help. A dog will not be happy sitting at home waiting for you for hours at a time. This is one of the biggest dog ownership challenges that many dog’s owners face. Finding a dog walker can be a savior to both you and your dog when you know you can’t make it back for her evening walk. 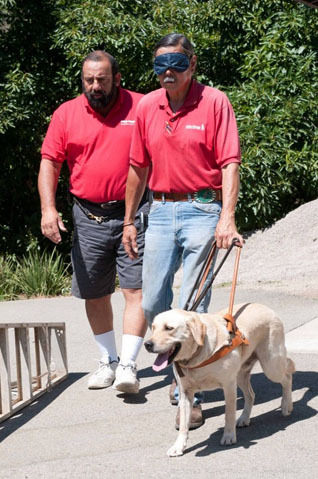 There are many dog-walking services out there, research and talk with other owners for the best service around. This will allow for your dog to stick to her schedule even if you can’t always stick with yours. Dog apartment living comes with the challenge of not having a backyard and even minimal outdoor space. So, to combat this challenge, dog parks were created to help you and your dog get some great exercise while also bonding with some other dog owners (and dogs). Not only will this give you and your dog some quality time together to look forward to, dogs know when they are going someplace fun with you, but she will get the exercise she needs after being cooped up indoors for much of the day. 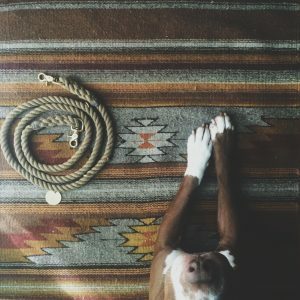 Raising a dog in an apartment may offer some unique difficulties compared to a dog that lives in a house. Chances are you don’t have a backyard, so your dog can’t just exit through a doggy door every time she needs to relieve herself, and she may have issues with your very close neighbors. Even if you have already trained your dog you may want to consider some specialized training for living in an apartment. After all, no one likes a dog that barks every time the elevator door opens or gets so anxious with the strange noises that she defecates over your new rug or tears apart your couch pillows. Crate training is also another option for those dogs that need to feel safe while you are away. And while I’m on the topic of making her feel safe, why not create a space that is just for her and that has all of her favorite things, a blanket, a chew toy, whatever she likes. This space can be within a crate or outside of a crate, whatever she needs and what you both prefer. If you know she gets really anxious while you are away, put things near her that remind her of you, anything that has your scent, like a pillow or a favorite sweater. Dog apartment living doesn’t have to be as challenging as you may think. Be open and honest with your landlord about your current pet, or if you plan to get a pet. There are breed restrictions for a reason and often one dog will flourish in an apartment better than another breed. 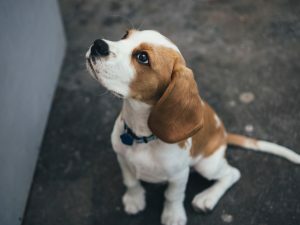 Consider the floor you live on, if you already live on a higher floor maybe you want to see if you can switch apartments to one that is on a lower level, this will make potty training that much easier if you are raising a puppy. Keeping your dog happy is the best way to ensure that you are also happy. It is a given fact that obedience training can benefit the dog a lot. But it can also benefit the owner in a number of ways. 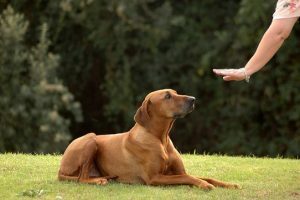 So, this time, we focus on the latter – the undeniable benefits of a dog obedience training, Escondido, CA to the owner. Fun and knowledge during training. One of the reasons why many owners enroll in a dog obedience training, Escondido, CA, is the fun and the knowledge they reap from every session. It provides a great opportunity for them to meet other dog owners and get invaluable knowledge and skills that extend beyond dog obedience commands. Helps the owner for easy dog management. A dog training facility like the ProTrain teaches the basics (and the complex) commands that enable owners manage their dog a lot easier. When the dog is more manageable, it is highly likely that problems like misbehaving or become uncontrollable in front of other people are avoided. This is really beneficial in a number of cases particularly when it comes to events or gathering. It means, there is no need for the dog to be left at home or be shut away from the events by the owner himself. Peace of mind. An obedient dog provides a peace of mind to the owner knowing that it can go along with other members of the family and friends. With dog obedience commands, situations that are both dangerous to human and the pet are greatly avoided. A closer owner-dog bond results positive outlook in life. Recent studies have shown that those owners who have a more obedient dog are more likely to have positive outlook in life. The satisfaction and the stronger bond the training creates contribute to such positivity. Dog obedience training gives more pleasure to the owner as it results to having their canine well-behaved, obedient, relaxed, and responsive. 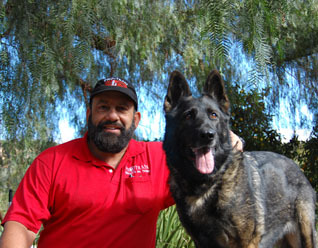 For expert dog obedience training, Escondido, CA, contact ProTrain today at (760) 749-0897. Children who grow up with dogs are more active than those without, with one study finding they do an average of 360 steps more every day. Some dogs will naturally like being around children and enjoy their company, while others can find them too loud and overwhelming, which could lead to aggressive behavior, often due to fear. When introducing dogs to children for the first time make sure the experience is positive. With some basic training and rules in place, children and dogs get on brilliantly together and form relationships that can’t be beaten, making dogs a good addition to any family. Bringing a puppy into your home can be a joyful experience. Whether you’re expecting your first child, or your pooch is moving in to a home with children, you’ll need to teach them how they should behave. Between the ages of 8-16 weeks your puppy will be able to learn and comfortably accept a variety of new situations, so it’s a critical time to introduce them to everything they’ll encounter daily. If you don’t have children, ask family or friend if you can introduce them to their children. Make sure the child is comfortable with your dog and is happy to pet them and offer treats so that your dog associates children with positive things. If you’ve rescued or adopted an adult dog that isn’t familiar with children, then training may take a little bit longer and you might need them to unlearn old habits. Adult dogs should be introduced to children gradually, starting with older children who will be calmer around them, and then work towards younger children, who are usually more playful and noisy until your dog is comfortable around them. Children’s games and toys can be loud and scary for dogs, so introduce these to dogs without children around so that they become familiar with the sounds. Alternatively, there are some games that children like to play, such as charades, that dogs may want to get involved in. When kids are acting movies out keep an eye on your dog to make sure they don’t become excitable and jump up. You should also teach them not to play with toys that aren’t their own with the ‘leave’ and ‘stay’ commands. Dogs of any age should be trained to listen to their owner and treat them as the leader of the pack. Taking them to an obedience dog trainer and doing regular training at home with them will form a strong bond between you and your dog where they will trust you and listen to you. You should teach dogs not to jump up on people, so that they don’t excitedly welcome a child and accidentally push them over. This is regardless of your dog’s size as even smaller breeds can jump up with force and it can scare the child. Teach your dog to associate good things with all four paws being on the floor, so tell them to sit when they jump up and then give them lots of attention and treats for the good behavior. Training your dog how to behave around children is essential as they will encounter them at some point, whether it’s out on a walk, at family gatherings or your own children. 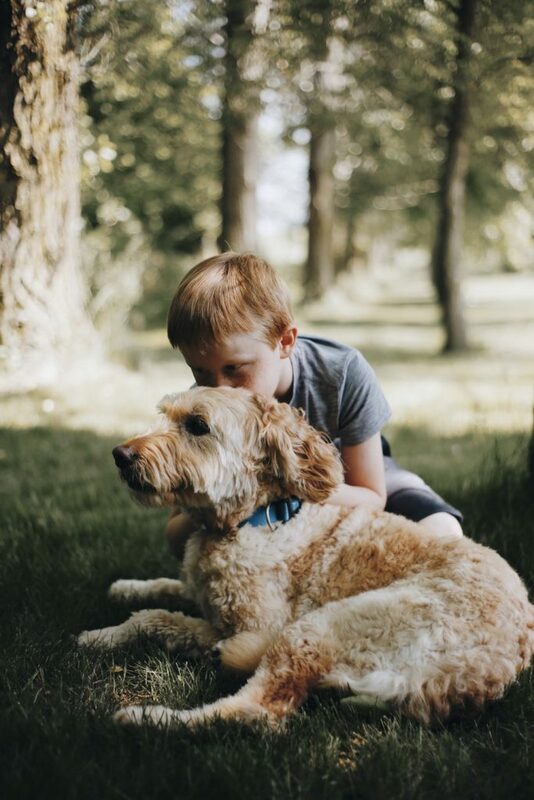 It’s important that children are also taught rules on how to behave around dogs, such as to pet them gently, not to pull their fur or tail and not to chase them as this will all make your dog feel negatively towards children. Dogs require around an hour of exercise every day to keep them fit, happy and healthy. But the average dog walk is just 43 minutes and many dogs don’t get walked at all. A busy lifestyle is one of the biggest excuses used, along with the weather. Dog walking and sitting services are becoming more common as they ensure dog’s needs are met and it’s also a great way to earn money, either as a sole or additional income. While you don’t need any qualifications, having a good understanding of canine behavior, needs and some training tricks will go a long way to making your job easier and more enjoyable. Becoming a dog walker or sitter can be as easy as doing a leaflet drop in your local community or using an app to connect you with local dog owners. According to Rover, 57% of dog owners admit to skipping walks, with excuses varying from the weather to a busy day at work. Two-thirds say they feel guilty for missing walks and believe their dogs look sad when they miss them, which is why they are happy to pay for a dog walker. Elderly or disabled people often need dog walkers as they can physically struggle to meet their dogs exercise needs but enjoy the companionship. Dog sitting services keep dogs in their own home, which avoids them going to kennels while their family is away. This can help to reduce anxiety and stress. Depending on the location, around $20 per walk is the going rate for dog walkers. It’s possible to take more than one dog out at a time and you can choose how much you want to work each day. Walking five dogs a day for five days a week is $500, which works out as $26,000 a year. The pros of being a dog walker include how flexible it is, you get to spend time with lots of dogs and it’s a great way to keep fit, but you should be prepared to face most types of weather. Many pet parents will want you to be available during their standard working week, so it will be better for your pocket if you can do this to ensure consistency for owner and dog. Being entrusted by a homeowner while they’re away comes with many responsibilities, such as cleaning and gardening, along with caring for pets. House sitting pays around $50 an hour, depending on location, and usually lasts for several days at a time, such as over the weekend. It pays well! Some people even pet sit one house to another and have no fixed abode, making their outgoings lower, so they can save more money. This is a good way for people to earn money while they travel as pet sitters are needed across all of America. There are many apps and websites that can match sitters with owners for a suitable caretaking job, making the process a lot smoother. It’s easy to be put off dog walking and sitting if the dog isn’t well trained, such as they pull on the lead or are prone to accidents. Being knowledgeable on training methods for common problems can go a long way to making your job easier and more enjoyable, which will reflect in the dog. This is a good way to get repeat clientele as it will give owner’s confidence in your abilities and they’ll be happy to use your services. Dog owners beware: Maintaining a clean home will be a challenge. 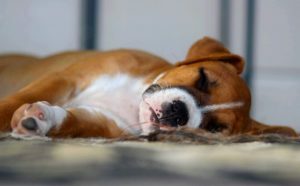 Whether you are adopting a new puppy or, you are a current dog owner struggling to keep your house clean, owning a dog adds an element of extra hair, dirt and grime to floors and furniture. Dogs are our most faithful companions, but they can also be the messiest. Maintaining a clean home may seem stressful — and expensive. If you want to keep your home clean without constantly going over budget, you simply need to follow these helpful hacks. One thing is certain with dogs: they will leave constant messes for you to clean up. From lick marks on your windows to peanut butter in the carpet, it can be hard to keep up with their endearing antics. You can try dog-shaming, but to truly maintain a clean home with dogs, you have to keep plenty of cleaning supplies stocked. Unfortunately, that can get expensive. Thankfully, you can stock up on carpet cleaner, window cleaner, and paper towels at local retailers without breaking your budget. Be sure to look for money-saving opportunities and cashback offers that can help you save money on all the supplies you need. Even the most well-behaved dog is bound to drag some muddy paw prints onto your floors and carpets. Aside from being unsightly, these stains can also be a source of harmful bacteria. That’s especially alarming if you have kids picking things off the floor too. To protect your family and your floors, you need to make sure they are cleaned pretty much every day. Thousands of pet owners have found a robot vacuum to be a good investment to help keep their homes free of dirt, fur, and dander without feeling overwhelmed with cleaning. If a robot vacuum is in your future, look for discounts and promos from online retailers like Amazon. Regularly cleaning your home is a must when you have a dog, but your dog needs regular cleaning as well. Bathing and grooming your pet will reduce the amount of dander and fur that ends up in carpets and around your home. Since pups love to roll around in mud and other suspicious substances, you probably don’t want to share your good towels with them. 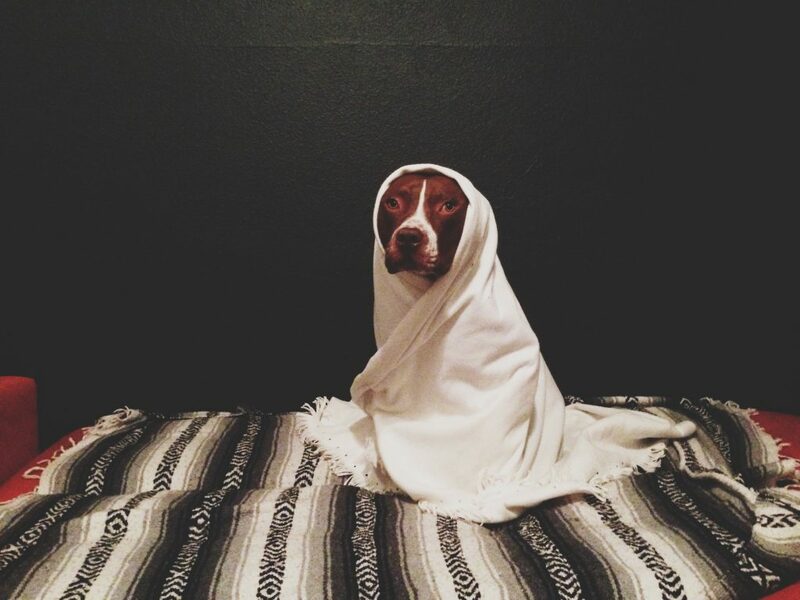 Most dog owners keep a stock of inexpensive towels, designated as “dog towels,” in their homes and cars to deal with unexpected messes and bathtime. Check out the cheap options from retailers like Target, and be sure to check for sales and online coupons before you checkout. If your dog lounges on blankets, pillows, or beds, they are also leaving little bits of dander and fur behind. Dander can actually be a major trigger for allergies and attracts dust mites too, so it is important to keep these items clean. Try washing them in hot water on a regular basis to get rid of dander, dust mites and stains. Since dogs tend to have sensitive skin, use a fragrance-free gentle detergent on any fabrics they may come into contact with. You can find store coupons to help you save money on your laundry detergent and other allergen-reducing products. For fabrics that are not easily cleaned, look for sprays that help reduce allergens and odors. Yards can get pretty yucky with dogs too. You will definitely need an endless supply of bags or a scooper to remove waste from your outdoor spaces. Leaving poop on the ground is bad for the environment and can attract harmful pests to your yard. You’ll also want to get rid of odors by cleaning surfaces in your yard and using sprays that will help remove unwanted smells. Check for sales at pet stores like PetSmart so you can save some money on your baggie supply or anything else you need to keep your dog and home happy. Having a dog doesn’t have to make it a struggle to keep your home clean. With some simple steps, you can maintain a tidy home and help keep your family healthy. So, follow these tips to tackle dog messes while being kind to your budget too!